My friend and I have been toying with the idea of decorating with crystals similar to the ones featured below. But why stop there? 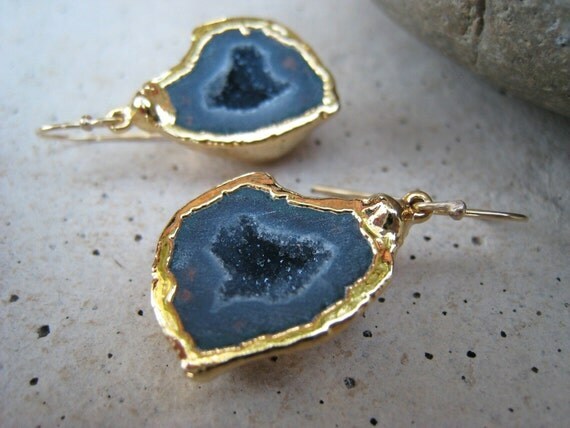 She has been obsessed with finding the perfect geode earrings, and I think I have found the absolutely perfect crystal ring. How fabulous are these crazy natural structures? I got myself a few geodes and geode holders for my birthday this summer with advice from a spirit guide, I think they absorb bad energy and recflect back good energy, perfect for Leos. Clarice gave me the Essential Crystal Handbook in tandem with that obsession. It's an excellent resource.